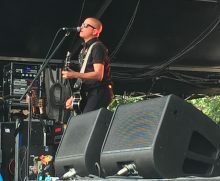 Mark Lizotte aka Diesel is one of Australia’s most respected musicians. 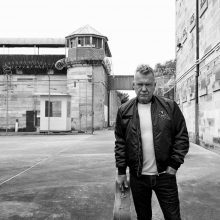 We first heard Diesel on Jimmy Barnes’ solo albums of the late 80s. His first album, ‘Johnny Diesel and the Injectors’ released in 1989, featured the hits songs ‘Don’t Need Love’, ‘Cry In Shame’ and ‘Lookin For Love’. His solo album ‘Hepfidelity’ went to number one in Australia and featured more hits with ‘Tip of my Tongue’, ‘Man Alive’ and ‘Come To Me’. Diesel’s latest album is ‘Let It Fly’. He performs ‘Cupid’s Embrace’ at Noise11. Diesel is reminding his fans about why they first got into his music with a setlist revolving around his first two albums at Red Hot Summer. The Living End’s first album came out over 20 years ago. That first hit, the double-A sided ‘Second Solution/Prisoner of Society’ is year older. I guess that makes The Living End a ‘Classic Rock band’. Richard Clapton is giving his fans the full Clapton experience at his sideshows during Red Hot Summer fans. Richard Clapton is giving his fans at Red Hot Summer a 40+ year career spanning snapshot of his entire history. Joan Jett is having the time of her life touring Australia as part of the Red Hot Summer tour.